Installation Court, at which the Master and Wardens are installed, takes place on the first Thursday in July. It marks the beginning of the Company's year and is followed by a dinner. Court meetings followed by dinner or lunch take place in November (Autumn Court) and April (Spring Court), with a Harvest Court preceding the Harvest Thanksgiving service in October. Guests are invited to all dinners and Guild Services. The Fairchild Lecture, delivered in accordance with the will of Thomas Fairchild, Citizen and Gardener, takes place on the first Tuesday in Pentecost at St. Giles, Cripplegate. Churches for the Guild Services are decorated by the Flower Arrangers group within the Company. They also arrange flowers in St. Paul's Cathedral and on other Company occasions. 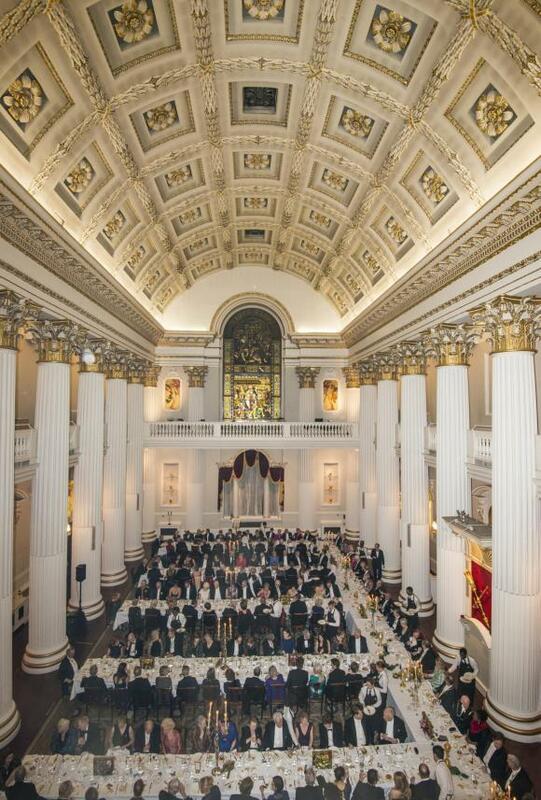 A highlight of the year is the annual Mansion House Banquet held in the presence of the Lord Mayor, at which the Master presents a donation for the Lord Mayor's Charity. Visits, led by the Master, take place throughout the year to gardens and horticultural establishments at home and abroad, and the Company pursues a busy programme of events. The Spade magazine reports on the life of the Company and gives details of recent events and visits. To see the current issue, click on The Spade Magazine, listed in the menu above.